Stress is a used, misused, abused and overused word in our daily conversations. But what is stress, clinically speaking? 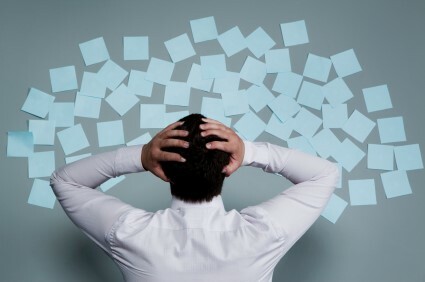 Dr. Hans Seyle, the father of Stress Management Research, said “Stress is the wear and tear on your body caused by life’s events.” He believed the most frequent causes of stress are an inability to adapt and not having an established code of behavior to guide our actions. Translation: If we can’t change, we need to understand when enough is enough. Because April is stress awareness month, now is a perfect time to discuss how stress affects us. Hundreds of experiences in life cause stress, both good stress (eustress) and negative stress (distress). Our bodies are designed to meet these stressors, but each person has to determine the right amount to function at their optimum level. Stress is frequently caused by time pressure – you don’t have enough minutes in the day to do everything you want and need to accomplish. Stress takes a toll on everyone in the workplace, young and old alike. That’s the finding of a study on UK workers, reported on the HeartMath website. Of survey participants 30 and younger, three-fourths reported taking at least one sick day during the previous 12 months, although fewer than half of workers 55 and older did the same. One possible reason: 86 percent of the younger group reported feeling stress at work, compared to 66 percent of older employees. It’s up to managers to keep stress among workers as low as possible. First, evaluate the stress level of your workplace or department. Then draw up workable solutions. Hold group discussions. Meet with employees to gauge their perceptions about their jobs and the level of stress they experience. If that is not a good option, conduct a formal written survey. To eliminate any reluctance that employees may feel in discussing the stress level of their environment, make it anonymous. Ask about employee perceptions of their job conditions, perceived levels of stress, health and satisfaction. And then implement solutions that will benefit employees, which in turn will benefit your company. When it feels like everything is going wrong, try and remember all the things that are going right. Stopping to smell the roses can be a healthy way of getting through those tough moments. Encourage employees to participate in problem-solving. Follow Dr. Seyle’s suggestion to let them adapt and establish a code of behavior that guides their actions toward a healthy outcome. Relax your standards. The constant struggle for perfection is not a bad goal, it’s just unrealistic. I’m not encouraging sloppiness or poor service, but instead accepting that failure is not fatal. When employees understand that mistakes are not the kiss of death, their stress levels decrease. Finally, do something for someone else. It’s a powerful way to feel good and reduce stress. Stepping away from your own concerns to help someone else solve a problem or improve their situation can help you see the many positives in your own life. You get extra credit if you can involve employees – perhaps on a workday so that you don’t impose on their personal time. Most employees believe workers have more on-the-job stress than a generation ago. Problems at work are more strongly associated with health complaints than are any other life stressor, and that health care expenditures are nearly 50 percent greater for workers who report high levels of stress. The results of a study by the American Psychological Association showed that most participants believed stress can make people sick. In fact, 77 percent of respondents said they had experienced fatigue, headaches and upset stomach as a result of stress. Even more serious side effects are heart attacks, ulcers, substance abuse and sadly, suicide. But only seven percent sought professional help to cope with their stress in the past year. I cannot stress strongly enough the importance of keeping your workplace healthy and safe, both physically and mentally. It’s good for you, your employees and your business. Everyone wins. Mackay’s Moral: Don’t let stress get the best of you, let it bring out your best.